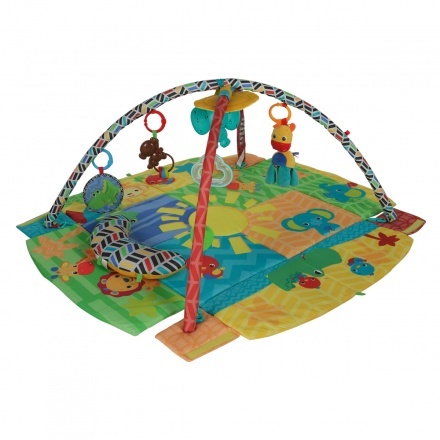 Juniors Baby's Play Place Playmat | Multicolour | Cushioned playmat. 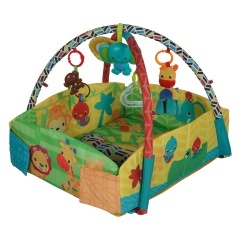 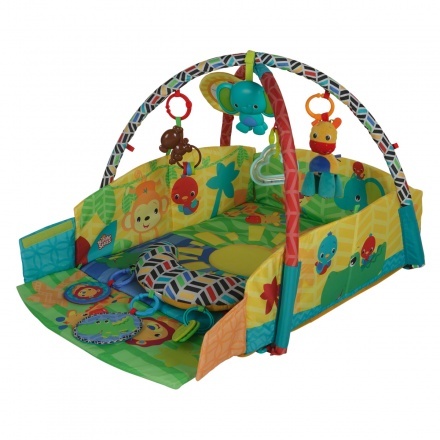 This Baby's Play Place Playmat is the perfect play area for any growing baby. 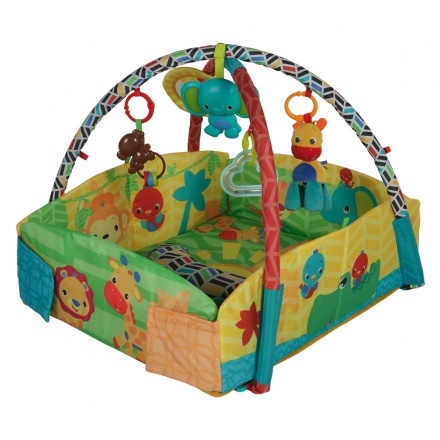 Its activity gym design features 5 fun ways to play as your baby grows from newborn to active discovery, tummy time, sitting, and crawling. 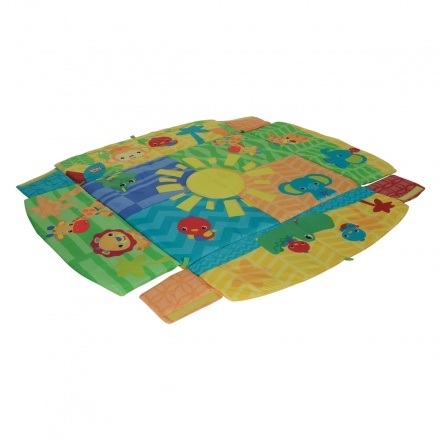 Feature 1 : Cushioned playmat. Feature 2 : Hanging toys to develop children's skill.